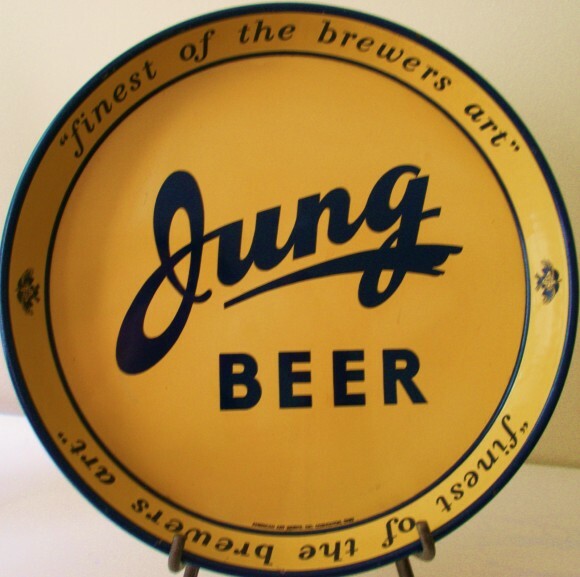 Serving Tray for Jung Beer. Text along the border states “Finest of the Brewers Art. The script font for “Jung” is really nice and very dramatic, one of the best fonts I’ve seen.